The CQ-3270EE® connectivity solution combines numerous features with an advanced interface to provide users with 3270 interactive mainframe connectivity over existing IP networks. The transmission of SNA data over IP networks is accomplished through IBM’s® advanced Enterprise Extender technology. 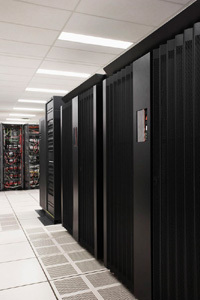 IBM Front End Processors (FEPs), such as the 3745 and 3746 Controllers, form the backbone of many mission critical SNA networks by allowing remote SNA clients to connect to mainframe computers. These FEPs were withdrawn from marketing by IBM effective September 27, 2002. Since that date, only used FEP products and features have been available. Since IBM’s announcement, networks that are based on these controllers have begun the realization that these FEPs are no longer supported and another SNA type connectivity solution is necessary. IBM states that the reason that the controllers were withdrawn from marketing is the success of IP in corporate networks. In the IBM Announcement Letter dated February 26, 2002, IBM stated that the "explosive growth of the Internet and TCP/IP traffic have resulted in a severe decline in the demand for new 3745 and 3746 Communication Controllers." In fact, it is widely accepted that IP is the strategic networking protocol of the future. IP has been around since 1969 so it is well established and also offers features such as scalability, redundancy, resiliency, openness, adaptability, and manageability. As a transition for SNA users, IBM developed an IP transport technology called Enterprise Extender (EE). Enterprise Extender allows remote SNA clients to continue to communicate with mainframes over existing IP networks in much the same way as they do today. The IBM Announcement of FEPs being withdrawn from marketing is important because many SNA networks rely upon IBM’s FEPs to connect SNA traffic between remote clients and corporate mainframes. The CQ-3270EE solution utilizes the EE technology and allows remote SNA clients access to corporate mainframe data centers over existing IP connections. Through CQ-3270EE, the applications and data that remote clients have used throughout the years can now be accessed over IP networks. CQ-3270EE users will find this new technology as reliable, scalable, and easy to use as SNA and because CQ-3270EE uses standard IP technology, the solution does not require new client hardware or software to be installed. In fact, certain client-side hardware such as dial-up modems, DLSw routers, Token Ring cards, and serial adapter cards are eliminated altogether. For more technical information, use this link for a Technical Overview of Enterprise Extender. Seamless Transition for CQ-3270 Clients. For current CQ-3270 clients, the transition to the CQ-3270EE solution is seamless as the user-interface is identical for both connectivity solutions. The similarities between the connectivity solutions eliminate the need for any additional training programs and application changes that might have occurred had the user-interface significantly changed. Interactive GUI Interface. The user-friendly interface makes installation, configuration, and use of CQ-3270EE simple and easy to understand. Interface components such as drop-down menus, customizable toolbars, clearly identified buttons, and context-sensitive help can be found throughout the solution. Customizable Features. The customizable toolbar and floating SmartKey Pad allow users convenient and quick access to common 3270 terminal commands that may not be easily accessible from a standard PC keyboard. For example, most PC keyboards do not contain keys to access 3270 terminal commands such as Clear, Reset, and PA1. The buttons located on the toolbar and SmartKey Pad perform any commands, including common 3270 terminal commands, and can be easily customized to fit session specific applications. Users can also customize the color, font, and cursor attributes for each session through CQ’s simple display customization procedures. Features include over 16 million background and foreground colors, automatic font sizing that automatically resizes fonts depending on the size of the Interface screen, numerous fonts to choose from, and special cursor features. Configurator. CQ’s Configurator program allows users to quickly and easily set communication options. Most of these options are set from the Quick Configuration screen. EE specific options include the CP Name, DLUS Name, and Destination IP address. Users can generally set the necessary options from this screen within a matter of minutes. The CQ-3270EE solution also allows for the configuration of a backup DLUS Name and Destination IP address within the Configurator program in the event that session establishment fails with the primary option settings. Interface Screen. The Interface screen’s interactive console area is where CQ’s 3270 terminal emulation occurs. Interactive commands and messages are entered and received through the console area. The type of session, either an LU2 display or an LU1/LU3 printer, is determined by the mainframe when the session is bound to the mainframe. A separate Interface screen appears for each session that you create. Security Features. CQ-3270EE is equipped with numerous security features. Certain areas of the program are password protected. The configuration data is decrypted dependent upon the proper entry of the correct password. Dial-back security is also supported. Also, for the ultimate in secure communications, the Triple Data Encryption Standard (Triple DES) security option is available as an option at an additional cost. Printing Features. CQ-3270EE supports any laser printer that is supported by the Windows operating system. Customizable print features such as the number of lines and columns and page orientation can easily be setup through the solution. CQ-3270EE also supports the Windows operating system print spooler so the user can print multiple jobs. Up to eight concurrent printers are also supported by the solution. The solution also supports older legacy printers for uses that require raw line prints. For the ultimate in printer features and compatibility, the CQ-Print Administrator™ productivity solution provides an efficient way to manage and print text based files according to your specific print layout requirements and specifications. The solution is useful for large recurring print jobs that require pre-set file formatting options and also allows you to configure and save print Layouts for unattended print jobs that you schedule through other programs, including CQ-3270EE. Through these print Layouts, you can also include customizable headers, footers, and banner pages that allow you to separate and identify print jobs according to your specific requirements. CQ Diagnostics. CQ-3270EE provides accessible communications logging features through its audit and trace options. These features are used for tracking the user’s data transfers and include time stamps, file send and receive information, and file size information. CQ Keyboard Remapper. IBM’s Standard and Enhanced PC keyboards are supported through CQ’s graphical remapping utility program. The user can easily assign key definitions to fit specific application requirements. Scripting and Scheduling for Unattended Operation. CQ’s scripting language allows automated and unattended CQ-3270EE host site communications through customized scripts and scheduling features. Unattended automation facilities make host site communications more cost effective than normal attended operation. Multiple Simultaneous LU Devices. CQ’s 3270 solution provides emulation of multiple concurrent Logical Unit (LU) devices. These include emulation of LU2 (IBM 3278/3279 Model 2, 3, 4, or 5 display) and LU1/LU3 (IBM 3287 host printer) type devices. IND$FILE File Transfers. CQ-3270EE implements IBM’s IND$FILE specifications for sending and receiving files. Files can be transferred in either text or binary formats. The solution supports multiple background, simultaneous bi-directional file transfers that substantially increase data throughput. CQ Access Point Agreement (CQ’s Annual License Activation and Software Maintenance Program). CQ recognizes the importance of providing our customers with access to comprehensive technical services and support. CQ also feels that access to product upgrades and updates is an integral part of an organization’s overall software deployment strategy. With this in mind, CQ provides the CQ Access Point agreement to its customers. With each license acquisition, you receive annual license activation as well as access to the product upgrade and technical support features of Software Maintenance. CQ provides our web page visitors with a quick look at several sample CQ-3270EE screens. This screen displays the settings required by most users to complete configuration. The Interface screen appears in Interactive mode when you are connected with the host. From this screen, you can change the settings associated with receiving print data from the host. From this screen, you can change the settings associated with receiving form data. From this screen, you can view a CQ script as it runs. From this screen, you can customize the toolbar that appears within the Emulator screen by adding, editing, or deleting toolbar buttons. Processor. An Intel Pentium microprocessor is recommended, although other compatible microprocessors such as the Celeron and AMD K6/Athlon/Duron family of microprocessors are also supported. Drive Space. A minimum of 200 MB of fixed drive space is required. Operating System. Most Microsoft Windows operating systems are supported. Memory. A minimum of 128 MB of memory is required, although at least 256 MB of memory is recommended. TCP/IP Protocol. The TCP/IP protocol (i.e., Internet Protocol) should be bound to the system’s network card. Other Requirements. CQ may indicate other hardware and software requirements to you at the time of purchase. Contact CQ for additional information. The host computer must be an IBM mainframe or compatible host with IBM’s Enterprise Extender support. For assistance in determining if your host site supports Enterprise Extender, you can contact your host site personnel or contact CQ and we can assist in determining if this feature is a part of your host site’s mainframe architecture. For Triple DES security clients, the host computer must also have the Triple DES feature installed and enabled.